At Toot Hill School we have a team of designated safeguarding leads (DSL's), they are Jennifer Gray (Lead designated officer), Ashish Modi (Deputy Lead designated officer), Rachel Leeson and Michelle Challoner. Our designated Governor for Child Protection is Sylvia McDougal. As a team, we recognise our responsibilities for safeguarding children and protecting them from harm. 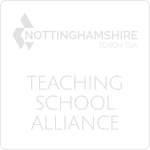 We follow the procedures set out by the Nottinghamshire Safeguarding Children Board (NSCB) and take account of guidance issued by the DfE. All these procedures are set out in our safeguarding policy. Please the information tab, policies for our latest safeguarding policy. If you have any safeguarding concerns please do not hesitate to contact one of the DSL team via the main school office. If you have urgent concerns for a child, or suspect that a child has been abused in any way, you can also report a safeguarding concern to Nottinghamshire Multi-agency Safeguarding Hub ​by calling 0300 500 80 80 (if you are a member of the public). If you require an urgent response outside of working hours (08:30-17:00), contact the Emergency Duty Team (EDT) on 0300 456 4546. In an emergency call 999. Comforts, advises and protects children 24 hours a day and offers free confidential counselling. Is an online counselling and emotional well-being platform for children and young people, accessible through mobile, tablet and desktop and free to access. Advice and information about young people’s mental health including information on CAMHS and what the next steps to seeking support are. Health for Teens www.healthforteens.co.uk offers a great content and of your health, from sexual health to your feelings, growing up, lifestyle and much more. Nottingham chartity offering advice for LGBT and questioning, people, their friends & family. Phone line open 7-9.15pm Mon-Fri 0115 934 8485. 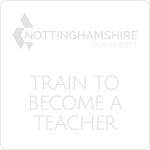 The Designated Safeguarding Lead (DSL) is an appropriate senior member of staff who has the status and authority within the school to carry out the duties of the post including committing resources and, where appropriate, supporting and directing other staff. All staff at NFS receive annual training with updates on safeguarding themes. As a school, it is our responsibility to prevent people who pose a risk of harm from working with children by adhering to statutory responsibilities to check staff who work with children, taking proportionate decisions on whether to ask for any checks beyond what is required; and ensuring volunteers are appropriately supervised. 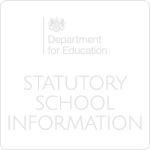 For all other staff who have an opportunity for regular contact with children who are not engaging in regulated activity, an enhanced DBS certificate, which does not include a barred list check, will be appropriate. This will include contractors that would have the opportunity for contact with children and who work under a temporary or occasional contract. Protecting children from the risk of radicalisation is seen as one of our safeguarding duties. Radicalisation refers to the process by which a person comes to support terrorism and forms of extremism. There is no single way of identifying an individual who is likely to be susceptible to an extremist ideology. It can happen in many different ways and settings. Specific background factors may contribute to vulnerability which are often combined with specific influences such as family, friends or online, and with specific needs for which an extremist or terrorist group may appear to provide an answer.